For its 2019–2020 fellowship program, the Ransom Center of University of Texas will award 10 dissertation fellowships and up to 50 postdoctoral fellowships for projects that require substantial on-site use of its collections. The collections support research in all areas of the humanities, including literature, photography, film, art, the performing arts, music, and cultural history. One- to three-month fellowships are available for postdoctoral or independent scholars whose projects require extensive use of the Ransom Center’s collections. Travel stipends are available for postdoctoral or independent scholars whose projects require less than one month’s use of the Center’s collections. Travel stipends may not be combined with other Ransom Center fellowships. Dissertation fellowships are available for graduate students whose doctoral dissertations require use of the Center’s collections. * For all fellowship categories, an additional, one-time $500 stipend will be provided to individuals who are a citizen or resident of a country other than the U.S. to contribute to the costs associated with the J-1 visa and/or international travel to Austin. The Center gratefully acknowledges the principals of the endowments and annual sponsors that support these fellowships. The fellowships are open to individuals of any nationality. One- to three-month fellowships and travel stipends are open to individuals with a Ph.D. or with a substantial record of professional achievement, demonstrated on their curriculum vitae. If the Ph.D. is in-progress at the time of application, the proposal and letters of recommendation must clearly indicate completion by June 1, 2019. Successful applicants must complete the Ph.D. by this date in order to accept the fellowship. A complete application consists of a three-page proposal and one or two letters of recommendation as outlined below. These materials must be uploaded to the Ransom Center’s online application system as PDF files by the application deadline. To begin your application for a 2019–2020 fellowship, create a fellowship account. Upon successful creation of your account, you will receive a fellowship account number, which you must use to submit your proposal, and which your referee(s) must use to submit the required letter(s) of recommendation. Please note that information cannot be revised once submitted. Previous applicants for Ransom Center fellowships must create a new account for 2019–2020, as accounts from previous years cannot be reused. Create your three-page proposal as outlined below. The proposal must be in English and submitted as a single PDF file through the Ransom Center’s online application system using your fellowship account number. Files longer than three pages will not be accepted. Each page should include your last name in the top-right corner and be formatted with one-inch margins and a font size no smaller than eleven point. Page one of your proposal should provide your name and project title, followed by a summary of the proposed research project. Keep in mind that you are writing for an interdisciplinary committee, so research topics and their significance should be thoroughly explained and placed in the context of the larger field of study. Please also describe the anticipated result of the project (journal article, book, edited volume, or other format). Page two of your proposal should provide a detailed account of your anticipated use of the Ransom Center’s collections. Describe the materials that you will consult, their relevance to the project, and why these materials must be consulted on-site during the length of fellowship requested. If the materials that you will consult are represented in the Ransom Center’s digital collections, be sure to explain why on-site consultation is necessary for your project. Page three of your proposal should consist of an abbreviated curriculum vitae emphasizing relevant publications. Previous recipients of Ransom Center fellowships should include results of fellowship-supported research. When submitting your proposal, you will be asked to provide a brief summary of your proposal in 100 words or less. This summary, which should address both your project and the collections you will consult, will be entered in the online application system, and should not be included in your three-page proposal. Applications for one- to three-month fellowships and travel stipends must include two confidential letters of recommendation from individuals who are qualified to judge the proposal. Applications for dissertation fellowships must include only one letter of recommendation, which should come from the dissertation director or an appropriate member of the dissertation committee. Letters of recommendation must be in English, be prepared on institutional letterhead, and bear the referee’s signature. Letters must be submitted as a PDF through the Center’s online application system by the referee using the applicant’s fellowship account number. The proposal and required letter(s) of recommendation for 2019–2020 fellowship applications must be submitted through the Center’s online application system by November 15, 2018, 5 p.m. CST. An automated email will be sent to the applicant upon the successful submission of each item. Applicants are responsible for making sure that their referees meet the deadline and that all required materials have been submitted. Materials cannot be accepted after the deadline has passed. Decisions will be announced by email on March 31, 2019. Fellowship recipients will also receive materials related to their award by mail. Queries about applications in process cannot be acknowledged. Fellowship recipients and their research projects will be recognized in Ransom Center publicity. Fellowship stipends are based on the category of award and the fellowship recipient’s country of citizenship/residence. 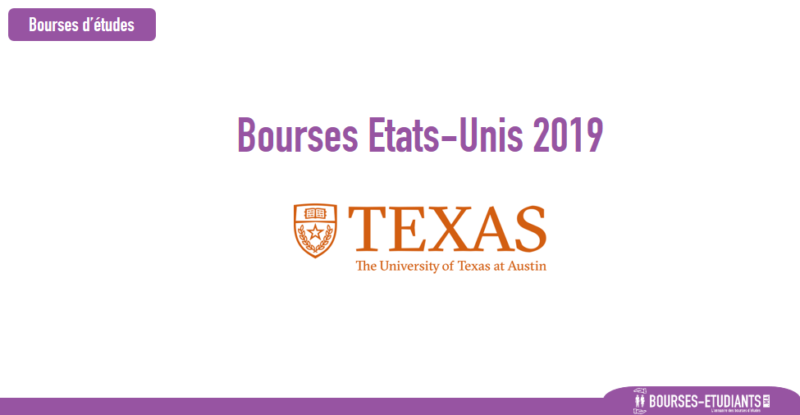 An additional, one-time $500 stipend will be provided to individuals who are a citizen or resident of a country other than the U.S. to contribute to the costs associated with the J-1 visa and/or international travel to Austin. For all award categories, stipends will be issued after the fellow’s arrival to the Ransom Center for his or her residency. Recipients of 2019–2020 fellowships must complete their residencies between June 1, 2019, and August 31, 2020. Complete information about the fellowship residency may be found in the fellowship guidelines. Applicants must identify the Ransom Center collections they propose to consult. Information about the Center’s collections and use of the collections may be found online. Applicants may contact the Ransom Center at reference@hrc.utexas.edu with specific inquiries about the collections and to confirm that the materials they wish to consult will be available during their proposed visit. Information about the collections should be requested before October 15. After that date, the Center cannot guarantee a response before the application deadline.